P-B-L has been around for as long as I can remember. For years I considered them a Sn3 supplier and importer. I discovered their paint line called Star Brand and liked it for airbrushing. Recently, I have puchased a few tools and found them to be good quality at a fair price. I started to build up a pilot model for a new plastic kit and discovered that Testors liquid cement was doing much. It appears that they changed the formula to protect us from ourselves. The kit I am working on shot in ABS which is very widely used in the industry. 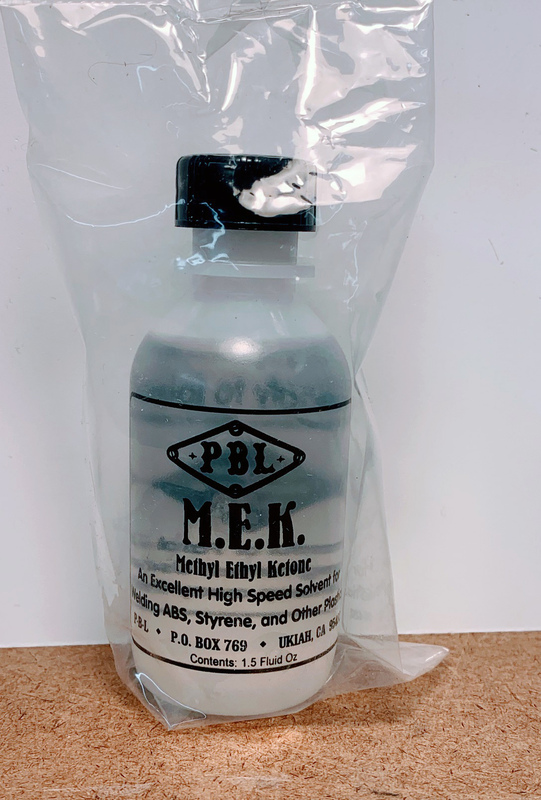 At that point I decided that I needed Methyl Ehtyl Ketone (MEK). It is the forbidden modelers elixir here in the not so golden state of California. However, I did find that I can buy it from P-B-L in small quantities. Maybe there is a state called do Jefferson. There is no substitute for the real stuff. The parts were going together nicely. While nosing around at P-B-L online store, I found a neat 4″ file that has a blank edge on one side and teeth on the other. The file in made by Nicholson and is first rate. 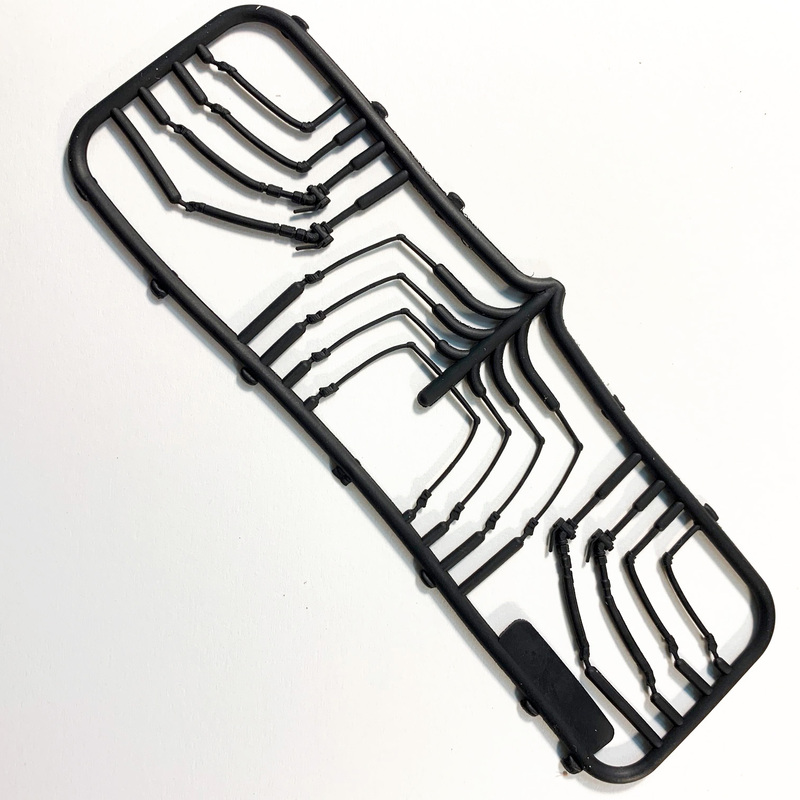 It is very handy for filing down the thickness of plastic parts without damaging an adjoining surface. P-B-L has a number of useful tools created by modelers for modelers. 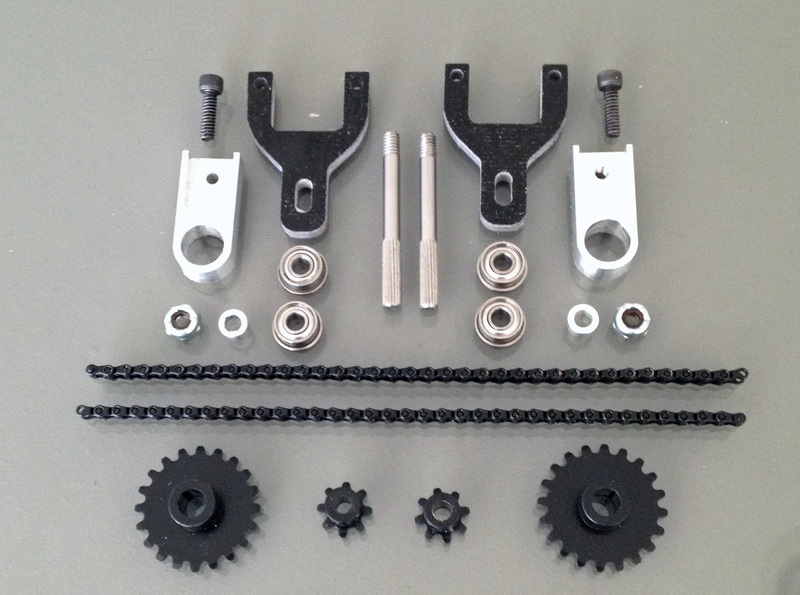 Hi-Tech Details just released a new diesel detailing set of 1/4″ scale. 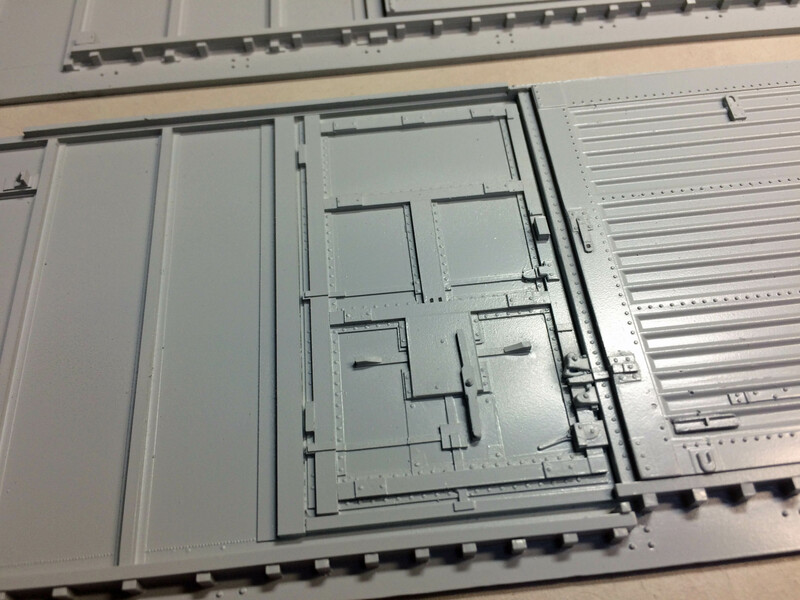 It is sprue of various air and signal lines used on diesel locomotives. The set is molded in a rubber material that is flexible enough to prevent breakage in normal handling. Hi-Tech Details also sells air hoses for freight installations. 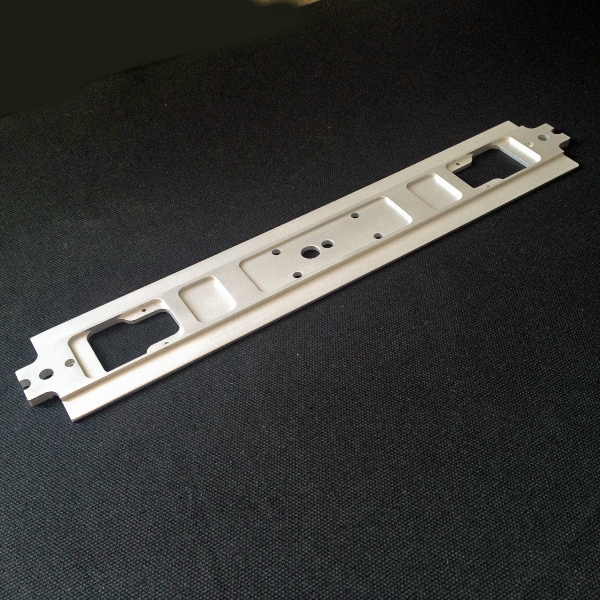 They are available with or without brass mounting brackets. Hi-Tech said that they will have the parts listed on their website soon. In the mean time, you can order direct. The price is $14.95 and $5.00 for shipping. 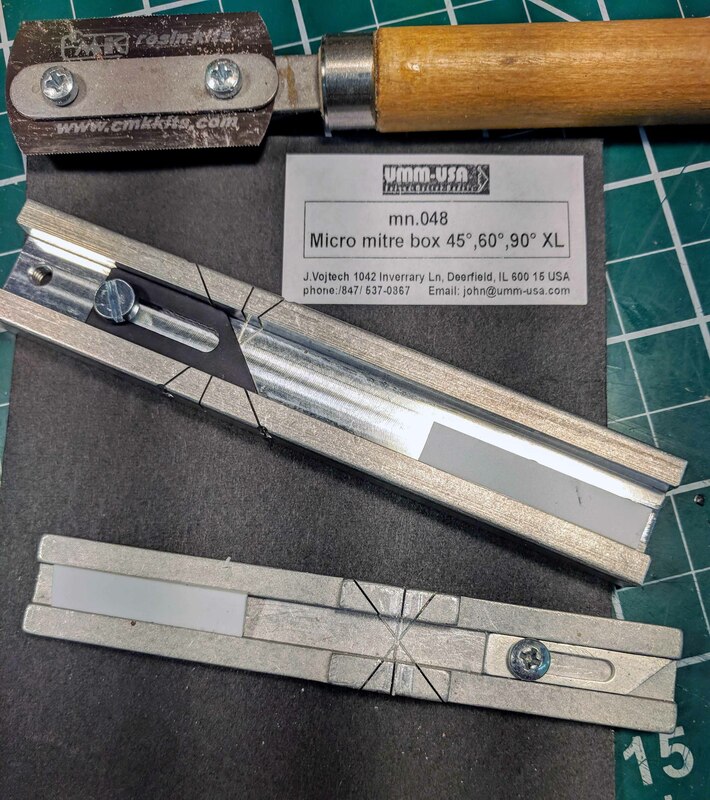 I have mentioned how handy these metal mitre boxes and the micro saws before. It is an essential part of my tool kit. I use it all the time when working on models. The first one I bought was not wide enough to fit a .250″ strip of material in the box. I just found a new version of the mitre box that is wider and longer. I now easily fits .250″ strip easily in the box as you can see above. 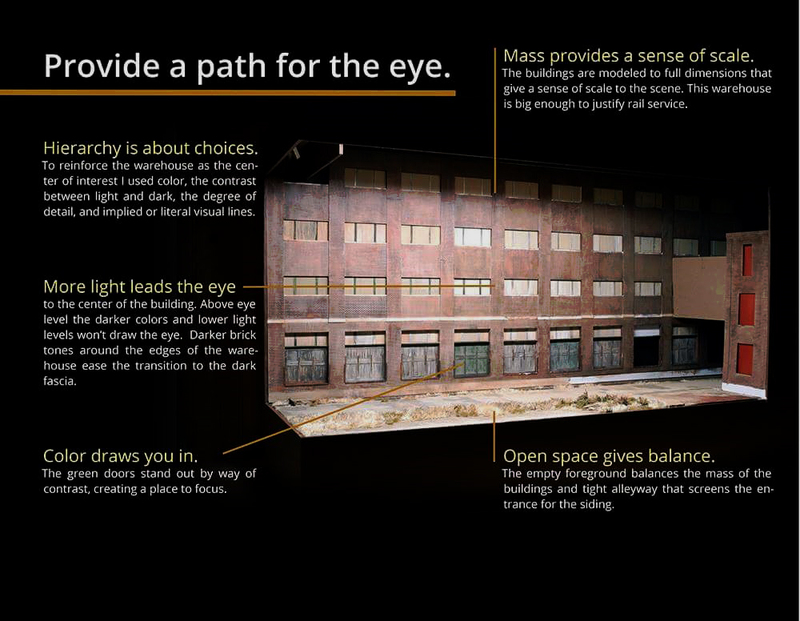 The dimensions are .410″ wide, .288″ deep and 4.255″ long. UMM is an online supplier of items used by military modeler. 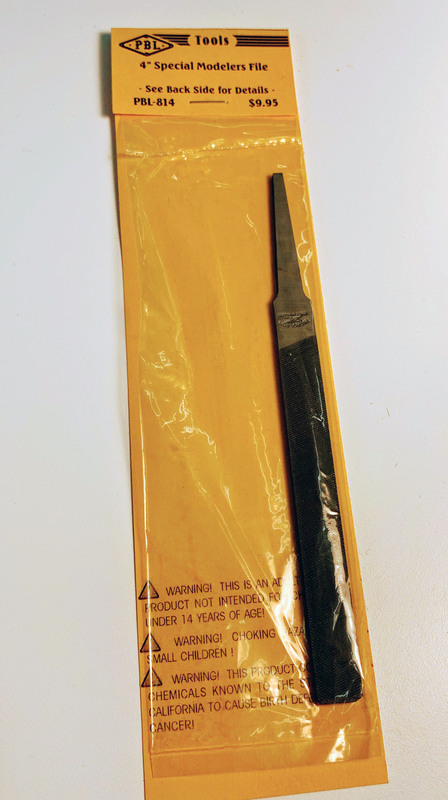 This product sells this very handy tool for $16.95 for part number MN048. I recommend the product to you. Lee Turner just sent several photos and description below. 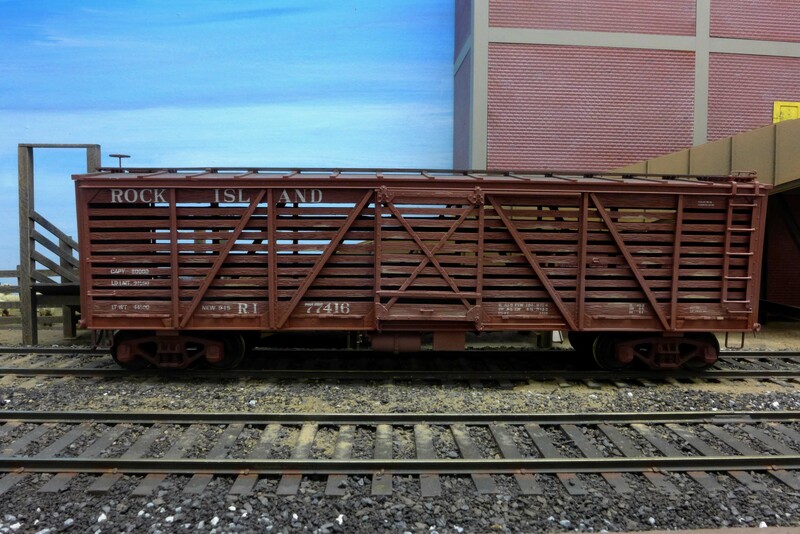 Here is a Westside Models heavy duty 16 wheel flat car. Cut levers and air hoses were added. 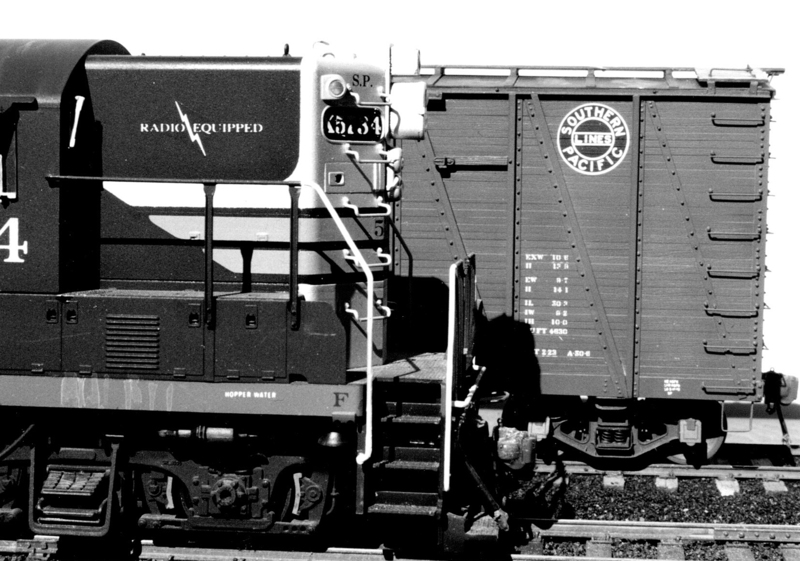 It was painted and lettered to match one of three PRR F34 class flat cars , note the Dahlman two level heavy duty trucks with a short five foot wheel base. 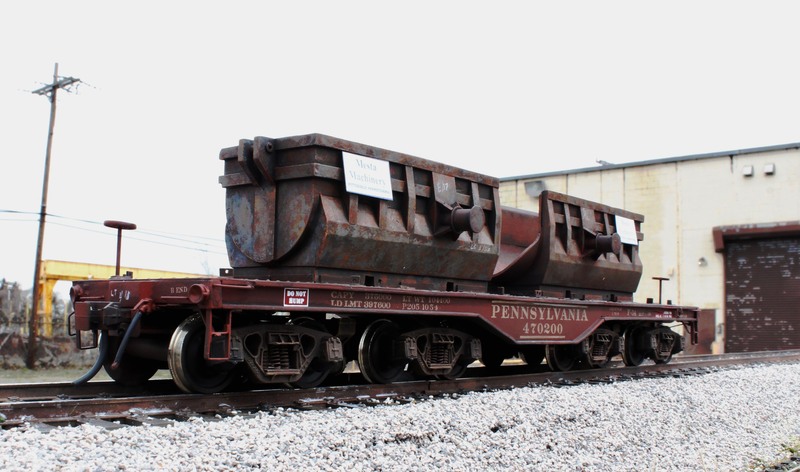 The load was supplied by the owner who had bought these resin cast “scooper things” at an estate sale of a O-scale steel mill modeler. They were painted with a dark gray and then sponge painted with a light gray which gave a good base simulating mill scale. A quick wash of modelers crack (Vallejo dark brown wash) gave definition to the structure of the object. Bits of sponge were used a again to apply Vallejo dark rust, red leather and light yellow rust. Some Winsor & Newton tube oil burnt sienna was used to bring all the rust tones together in the heavily rusted interior portions. Lastly a very thin coat of burnt umber was judiciously sprayed on the edges and seams. The Mesta Machine placards were done on the computer and printed on photo paper. 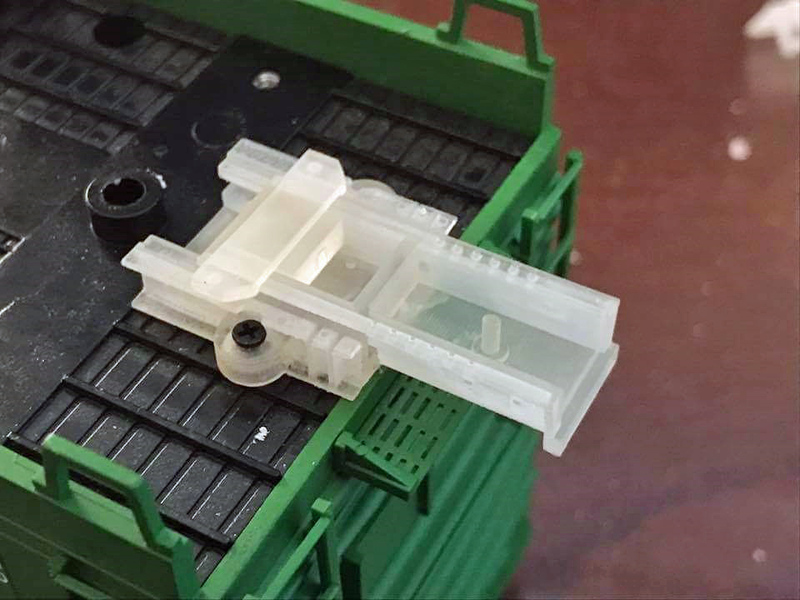 The deck of the flat was prepared with Evergreen styrene angle for this load and excess angle and strip was glued around the deck to simulate dunnage from previous loads. Simulated fresh welds and chalk marking from the layout of angle iron bracing was the final touch to load and cars. As a side note Mesta Machinery was a real company who made the huge machines used in steel making like presses and shears. 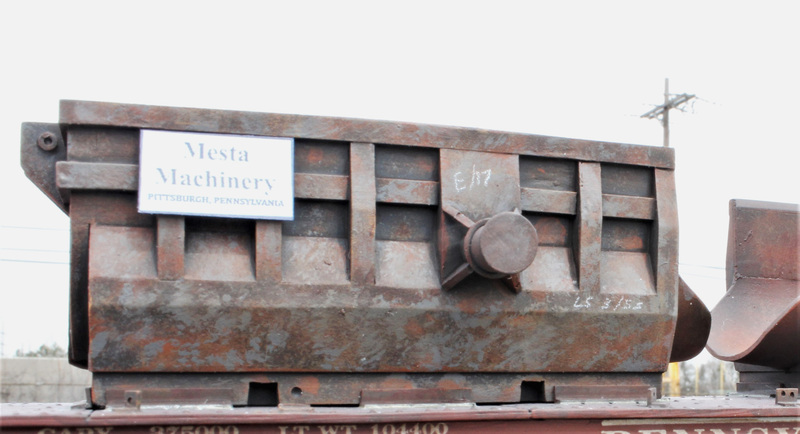 IF you google image search “Mesta Machine” you will find many shots of various PRR heavy duty flats and loads along with the products they manufactured. Lee’s work is incredible. I would have never thought of adding chalk marks on the deck. Thank you for the inspiration. 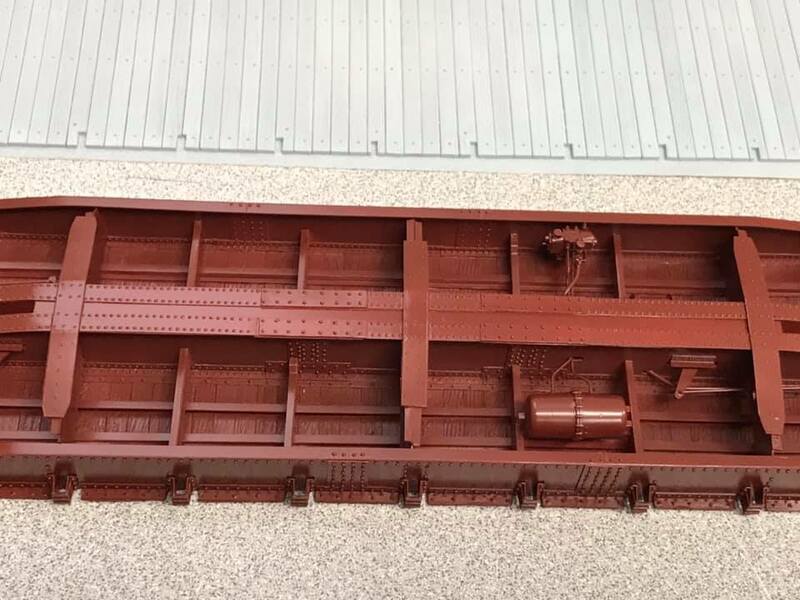 Rails Unlimited has released a several new urethane kits that are available as a flat or with pre-assembled bodies. They sent several photos of their Rock Island stock car kit. 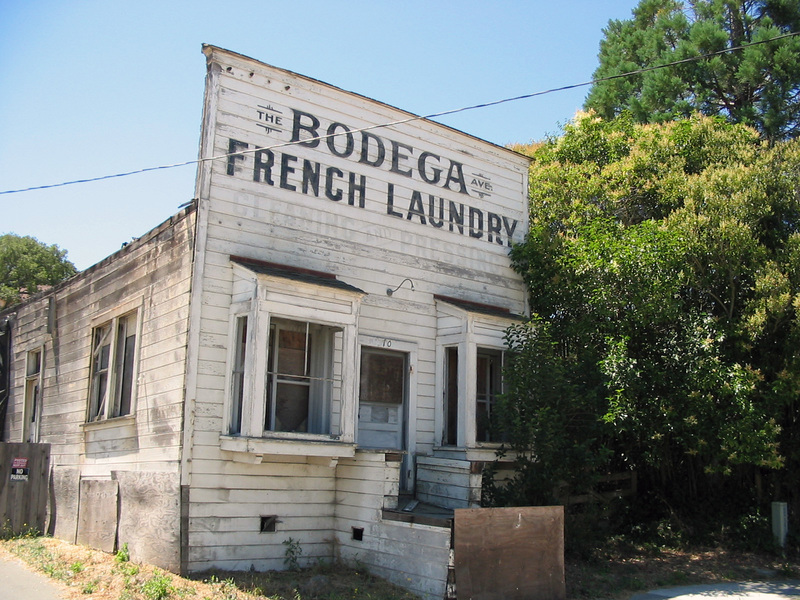 It is a classic design that was rebuilt from Fowler clone boxcar. The Rock Island ran these cars for a long time well into the diesel era. The patterns and the pilot model were done by Jeff MacDonald. I understand the production kits were cast by Westerfield. 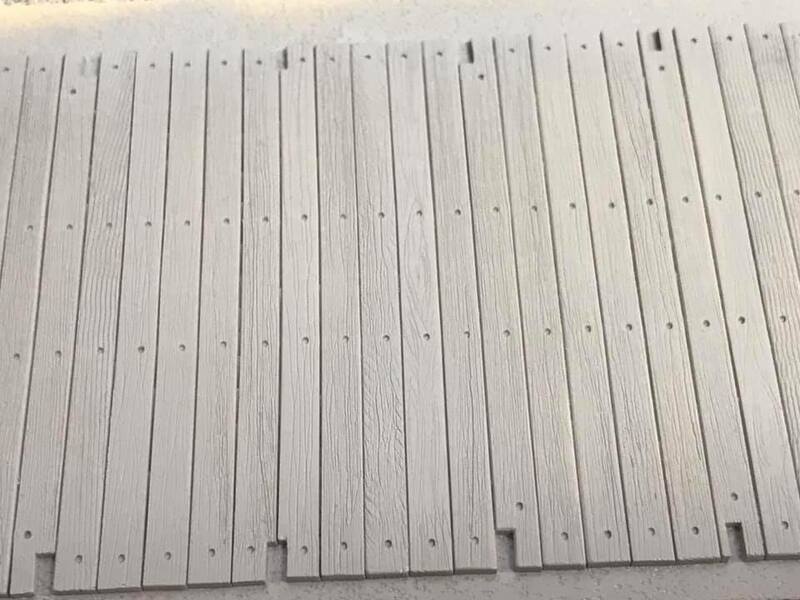 The castings look very nice based upon a photo sent by Ross Dando. Mike Cougill is a skilled modeler with a strong sense of seeing the scale and features of a model or scene. I found the picture shown below on how to create an effective scene that creates interest and draws the person into the work. You should check out Mike’s work at OST Publications. This time of year seems to be busier than the rest of the time. Decorating and preparations for family and friends visiting consumes the day. Retirement wasn’t supposed to be this busy. As you would expect my modeling time is an expendable part of the daily routine. I have done very little new to show for the time. Protocraft survived the Wine Country fire this fall. 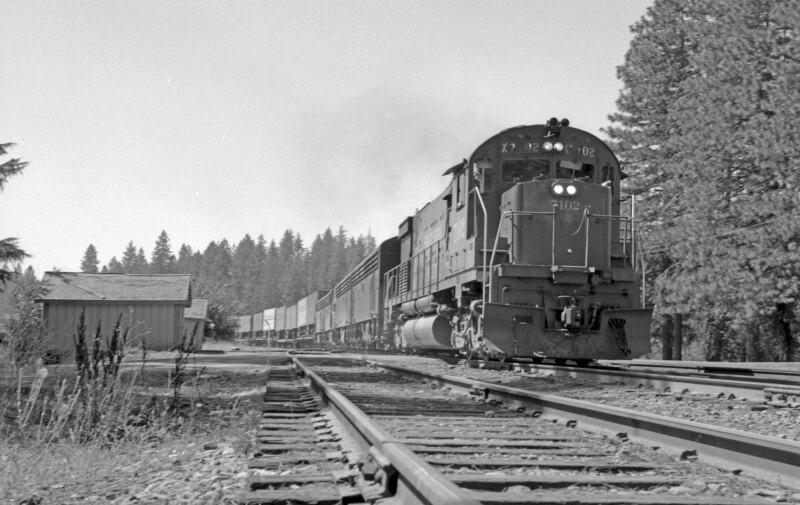 While Norm’s home and railroad did sustain damage, he was luckier than many in his community. The state continues to battle wild fires but in the southland. I wanted to sh ow you two parts that Protocraft has in their extensive line of parts. The first is a threaded bushing that is designed to be used on wood, plastic or resin cars. The knurled surface will enhance the attachment. The bushing is threaded for 1-72 shouldered screws that are included. The second part I am highlighting is a cast brass roping bracket. 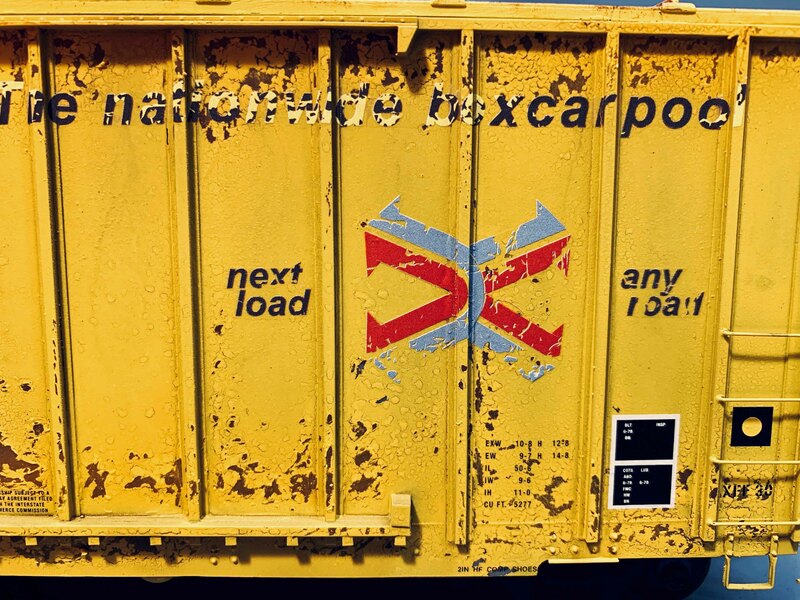 Freight cars were often moved at an industrial site with a cable that was attached to a bracket that was at the car bolster. 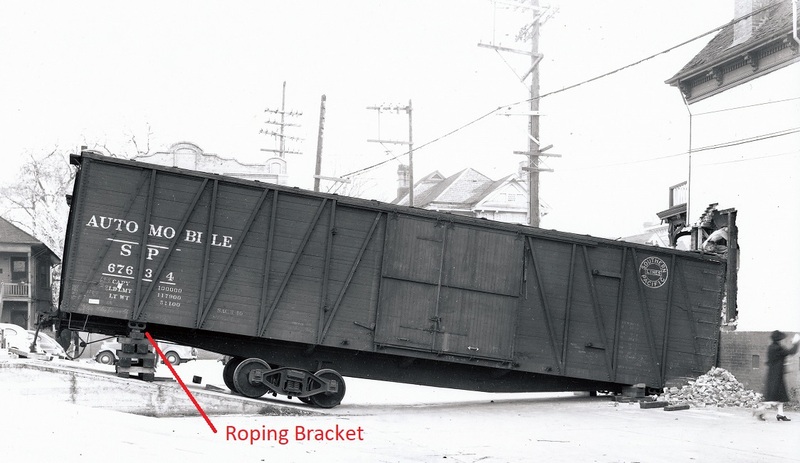 The roping brackets of this style was commonly used on Southern Pacific single sheathed boxcars. 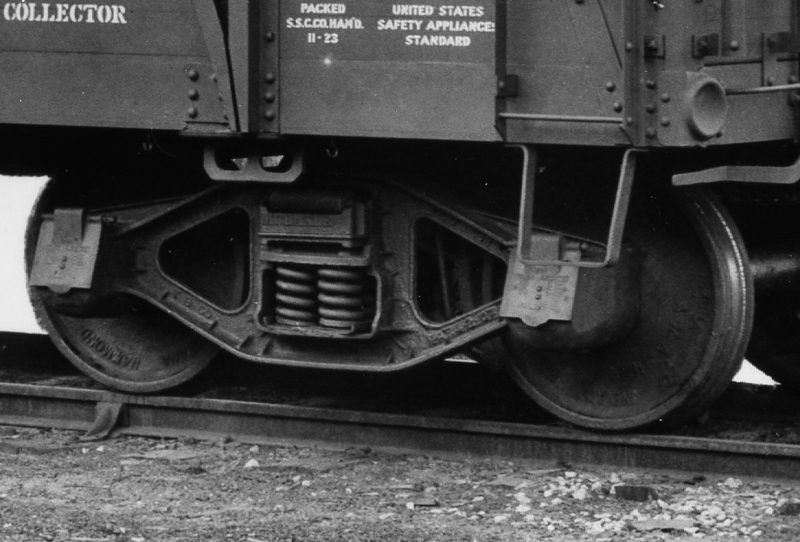 Other railroads used similar or identical parts on their freight cars. I have pointed out a typical installation of the bracket on the body bolster of the A-50-6 automobile car. 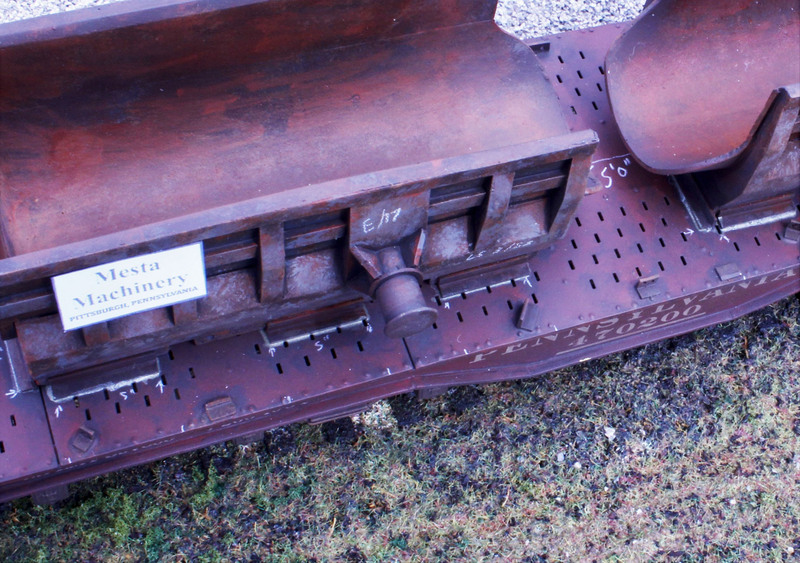 Here is a closeup of the bracket installed on this Southern Pacific B-50-13 boxcar. Protocraft expects a large shipment from Korea of new models and trucks in the new year. Stay tuned. There is an aspect of Proto48 modeling that I have overlooked in my blog. It is prototype modeling of modern equipment. Modern is this case defines a period of the 1960s through the present day. As a modeler I have not had an interest in it since I am hopelessly stuck in the 1950s. However there is a lot of railroad modeling that I have not paid attention to. 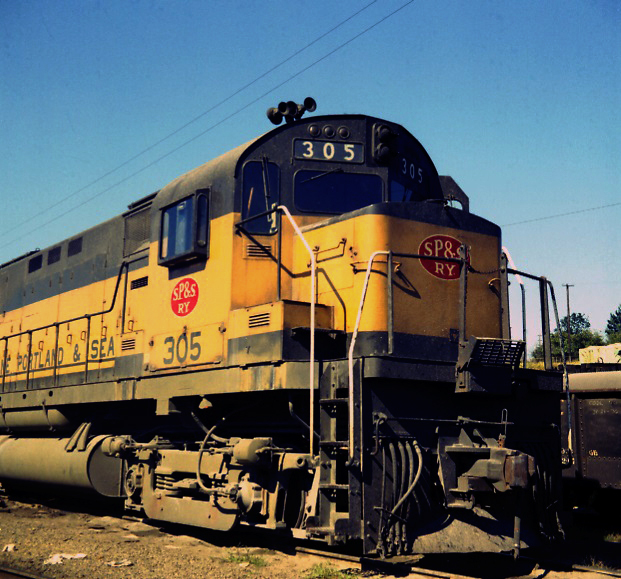 At one time I did railfan here in Cali and Oregon with camera in hand but it never stimulated me to model what I observed. In recent years the O scale importers like Atlas, Lionel, MTH and the now defunct Weaver have done a number of moderns pieces of equipment. Several modelers and designers have produced some very interesting items that allow a modeler to jump into the era. The modern era eliminates the one issue that holds back steam era modelers, drivers. 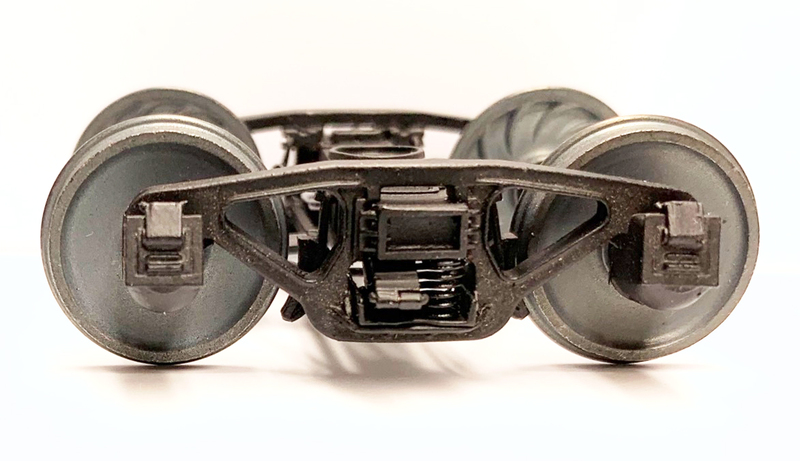 I would like to make readers aware of the development of parts and equipment for modern railroad modeling in 1/4″ scale. Interest seems to be building in the era and equipment. When you start to look around you realize how much is out there. One supplier has been making the task of modern modeler much easier. 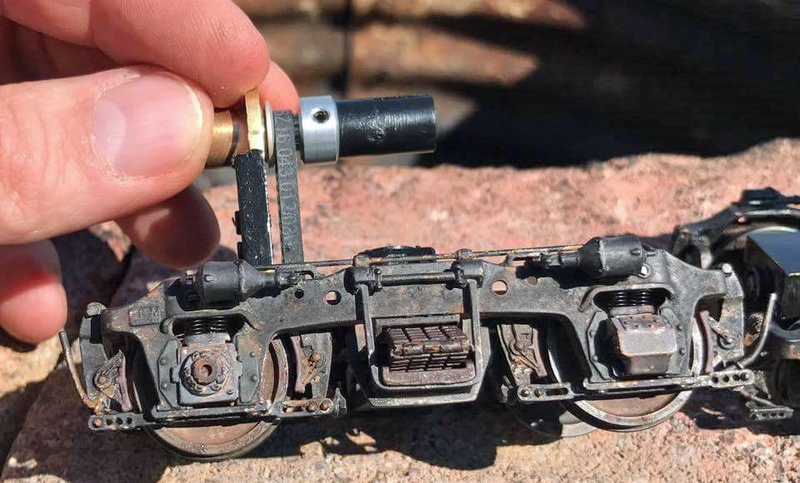 James Lincoln has produced 3D designs for things like conversion bolsters for Atlas and Lionel modern equipment. Lincoln Proto48 Engineering is Jim’s firm and he makes the parts available through Shapeways. The link above will take you to Jim’s blog which has multiple links to Shapeways. The Chinese-made equipment looks pretty good and can be refined even further with some modifications. Lincoln Proto48 Engineering has recently produced this cushion coupler pocket for an Atlas boxcar. 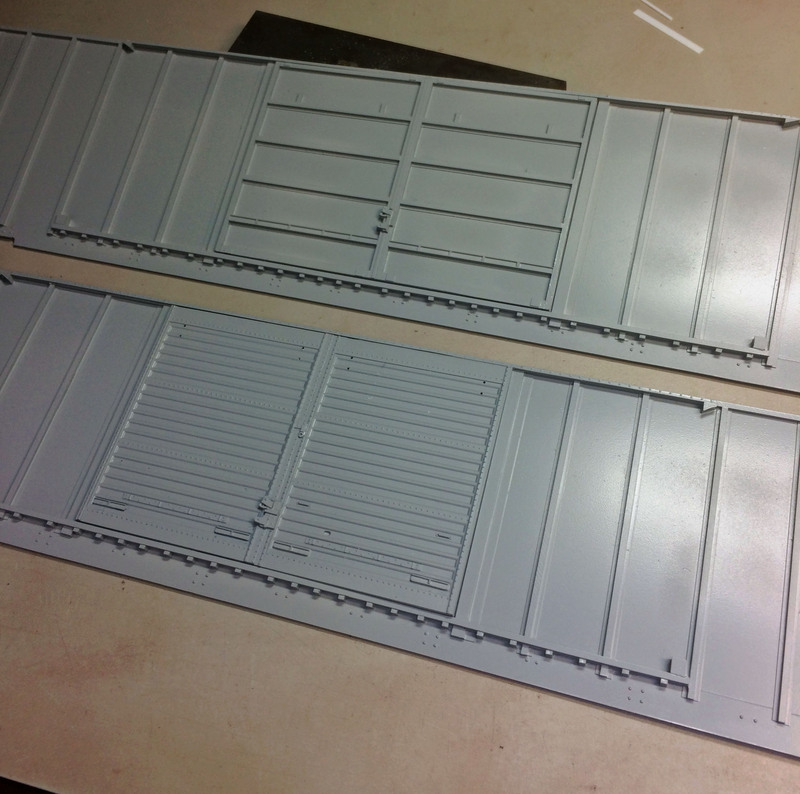 The picture on the left shows a simple conversion of adding Protocraft 70-ton ASF trucks and the cushioned pocket. This one of many parts available. 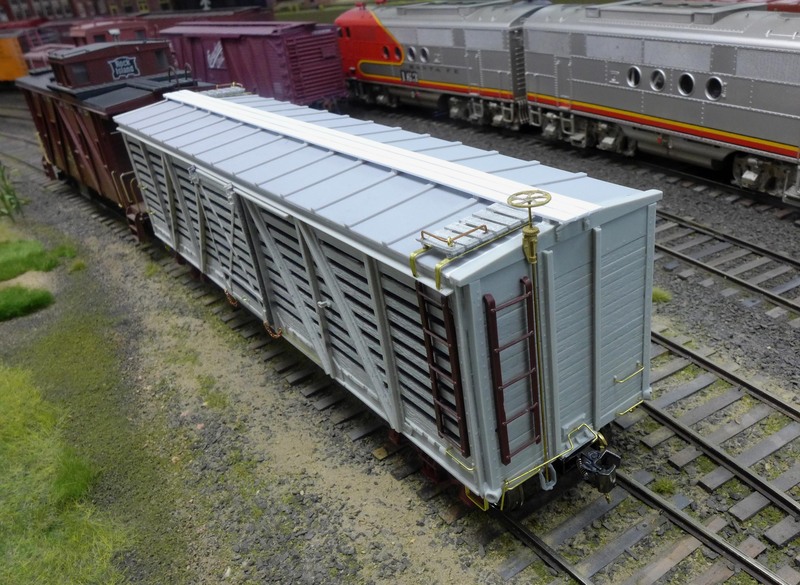 Bill Yancey has decided to get involved with the creation and selling of a new series of urethane boxcar kits. He has picked a line of FMC-built 50′ cars that started production in the 1970s. 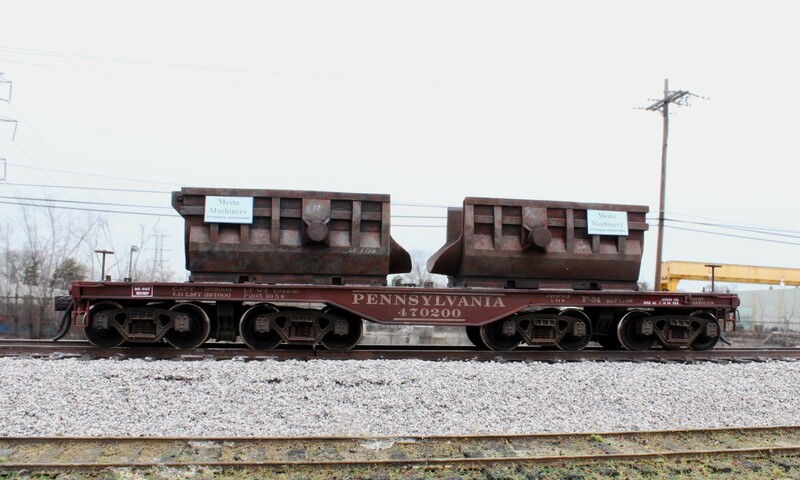 The double door cars are available with either Youngstown or Superior 5 panel doors. 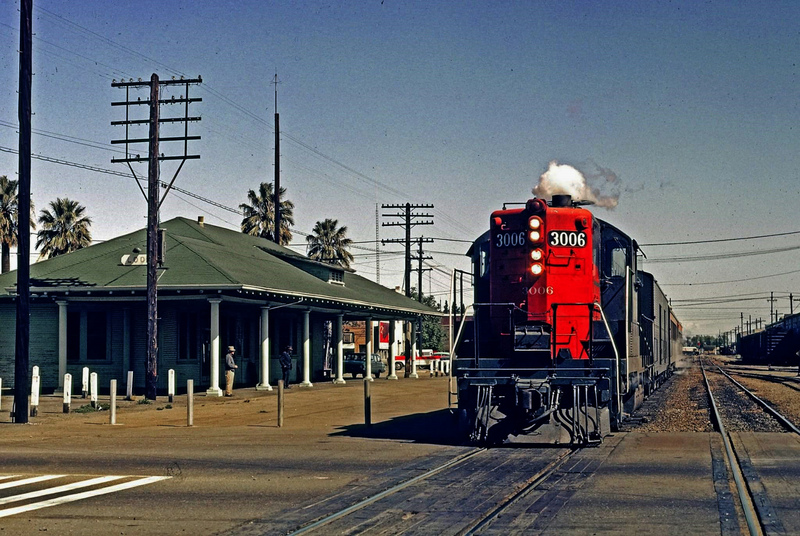 These cars have not been produced before and are very popular with railroads in that era and later. The masters shown above and below are now at the caster for production of the pilot model parts. 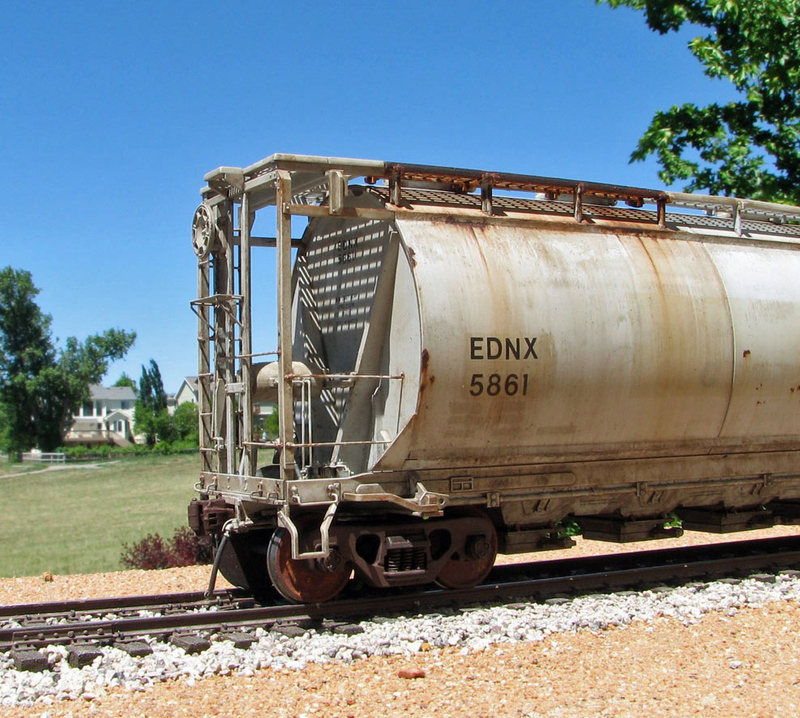 One of the most popular diesel models in 1/4″ scale has to be the Red Caboose GP-9. Leon Fairbanks picked a prototype that would cover a wide range of time from the 1955 era to the present time. The original kit has a drive invented by R oco for the original Atlas F-9. It was inexpensive and ran well but had several weaknesses that would show up over time. Des Plaines Hobbies and Pat Mitchell came up with a machined brass plate that would adapt the Weaver drive system to the model. It replaced the flimsy plastic frame. A lot of folks went this route as an upgrade including myself. Finescale 360 is a new supplier who is produced custom machined frames and gear towers to upgrade the original Weaver drives. Kelly Regan, owner, developed the parts as a result of a lengthy series of posts on the old Yahoo Proto48 group. By the way, the group is now on Groups.IO. The frame and tower really make a huge difference in the Weaver drive. 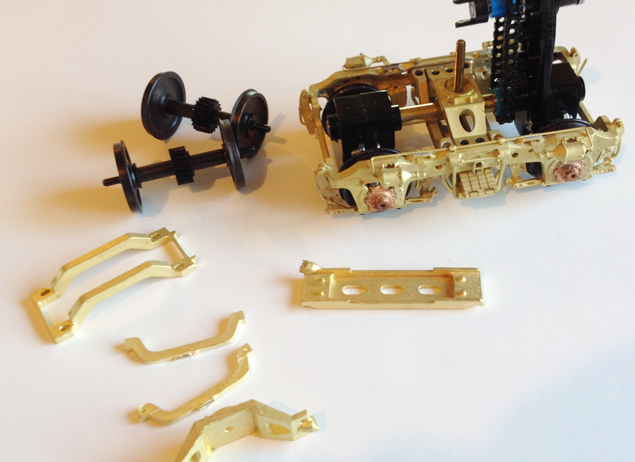 You can go a step further and upgrade with P&D Hobbies brass Blomberg trucks and change out the gearboxes for ball bearing version produced by Right O’ Way . Jay Criswell, Right O’ Way owner, can do all of the heavy lifting if you don’t feel mechanically inclined. The above photos show the tower installed in the Finescale 360 frame and the one below shows the tower components in the kit. Contact them directly via their website. Here is a shot of a P&D Blomberg with Weaver components installed. 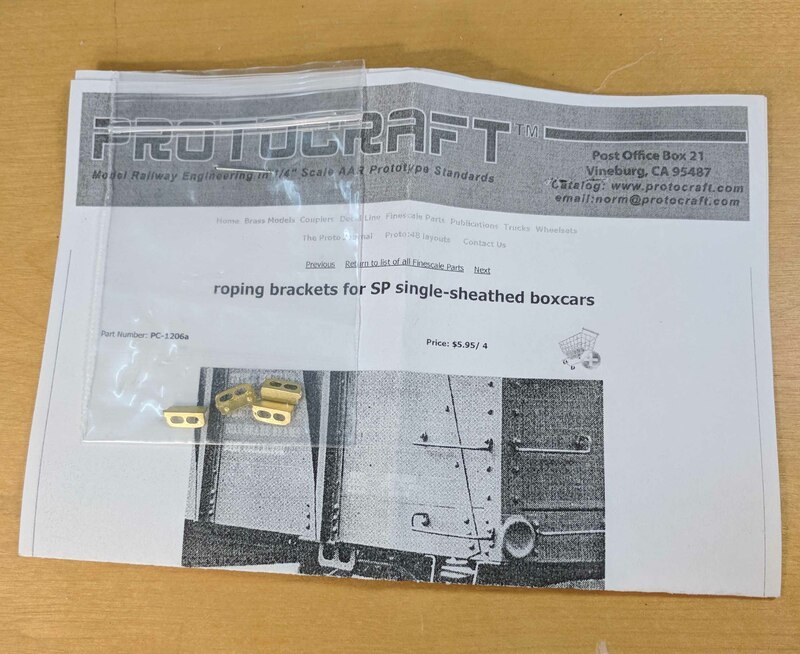 The brass castings and wheels are for P48 conversion. 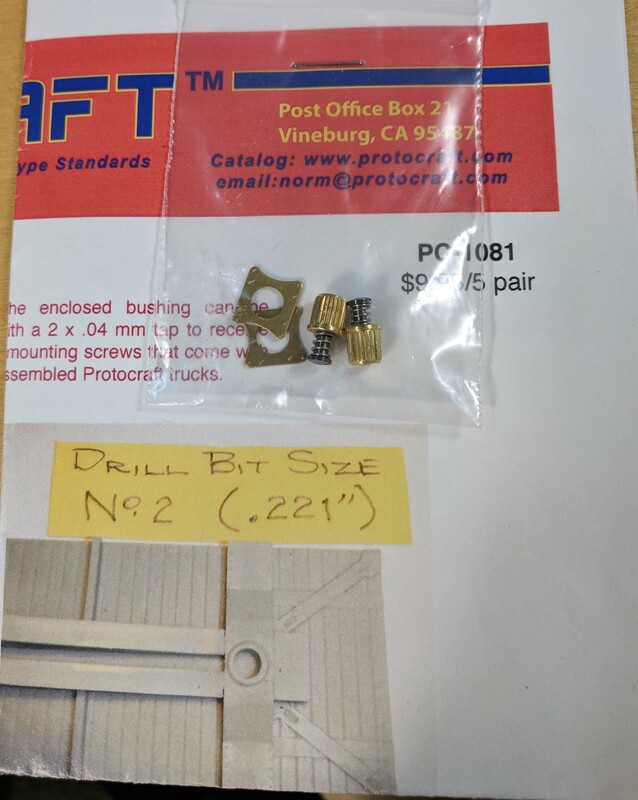 They were offered by Protocraft but now are available from Right O’ Way of Clovis, California. 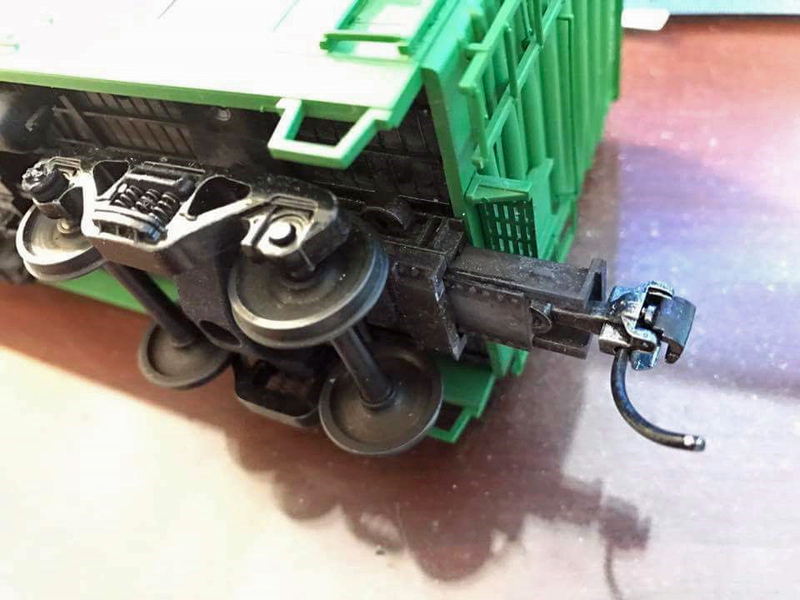 Shawn Branstetter’s website the Shortline Modelers posted this picture of the truck and parts. The Blomberg shown above is the work of Ross Dando and is going into his Rock Island GP-7. 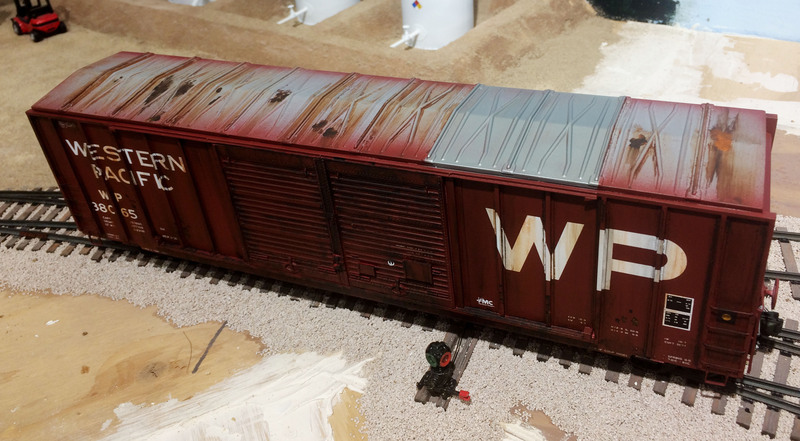 Weathering really punches up the details on the truck. Hope that you found this posting of interest and even useful. I will try to include new items that surface as I become aware of them.